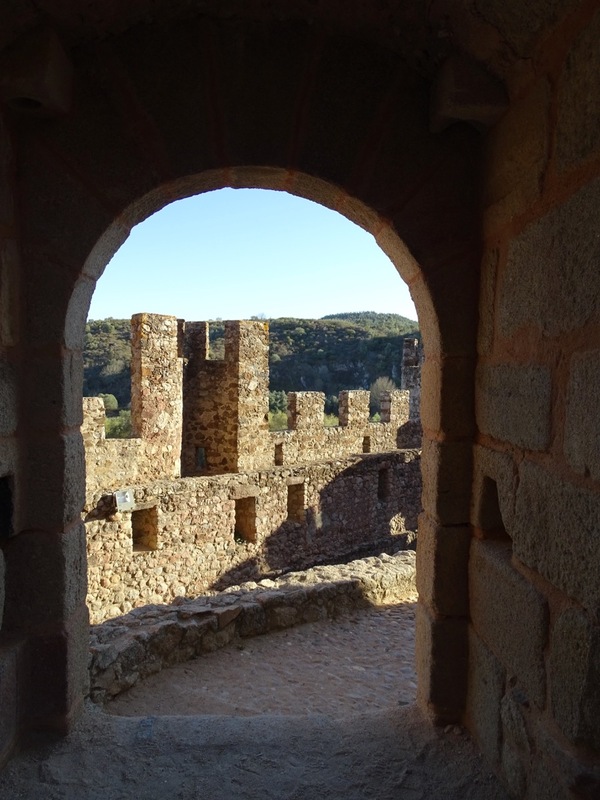 You are here: Home / Where We've Been / Europe / Portugal / Almourol Castle: Totally Dragonless… Or Is It? What do you want to be when you grow up? According to my family lore, at the tender age of six, I firmly insisted on becoming a movie location scout. A bit uncommon, it still sounded less outlandish than my farther’s wish to be a border patrol dog when he would grow up. Neither of us achieved these aspirations. 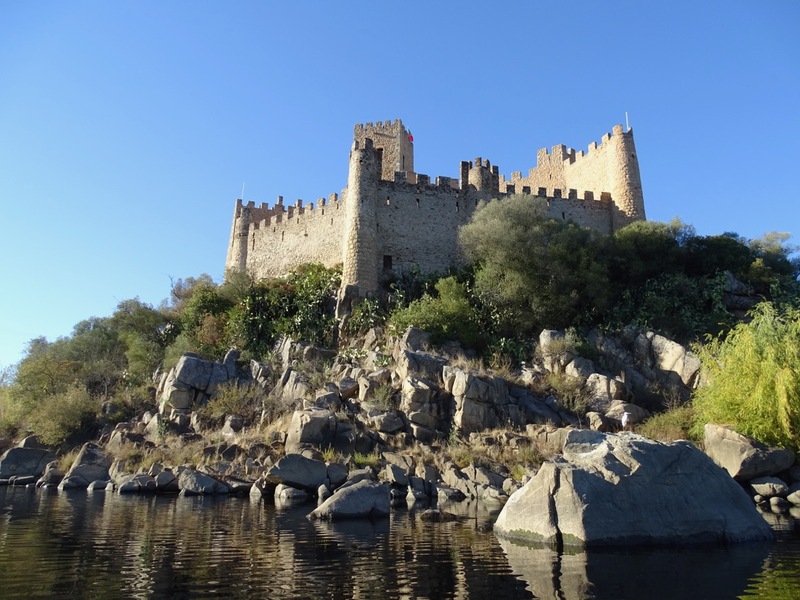 Yearning for new places eventually led to a nomadic life, but it was not until I stumbled across the charismatic Almourol Castle to be reminded of my childhood dream. On a sunny afternoon, the castle is picture-perfect. At first sight, it looks like a movie set. The crew just left for lunch, so it is quiet at the moment. But there is a movement up in the tower. Who is there? Princess Fiona or Rapunzel? Or, perhaps, some newcoming beauty from a future Hollywood blockbuster? The enchanted word envelops the castle. Time slows down. Welcome to fairytale! With all its sublime romanticism, the castle was once a force to be reckoned with. 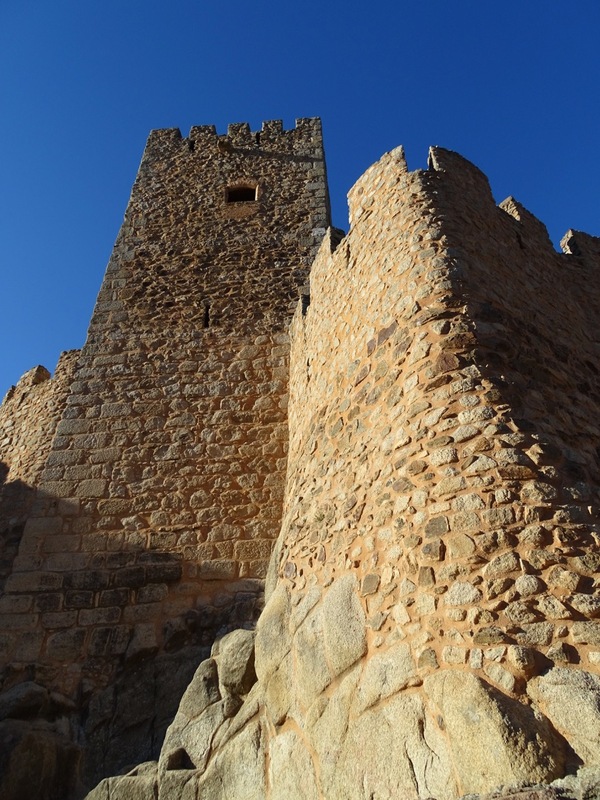 It is one of the most emblematic castles of the Christian Reconquest period in Portugal. 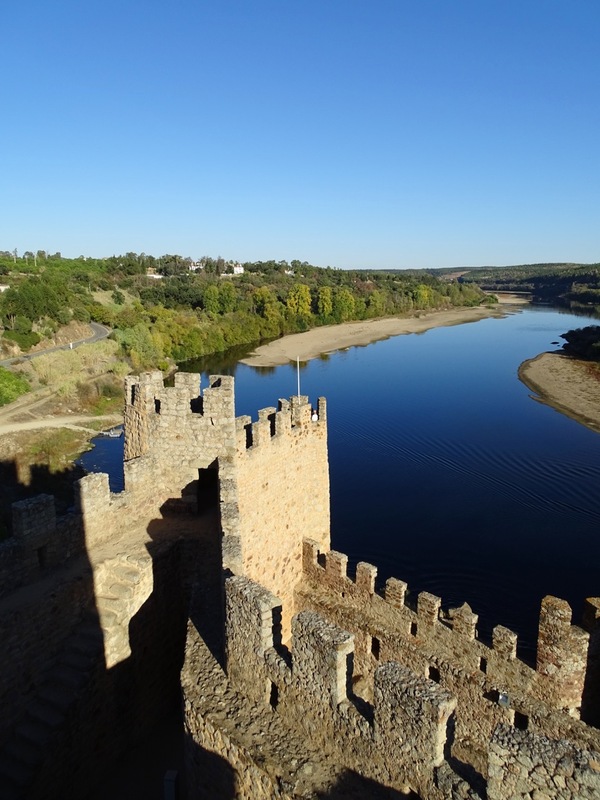 Situated on an island in the middle of the River Tagus, Almourol stands out from the crowd due to its historical significance and surrounding landscape. Together with the castles of Tomar, Zêzere and Cardiga, it formed the so-called Tagus Line (Linha do Tejo), the defensive line of fortifications along the River Tagus controlled by the Knights Templar. There is little left of the original structure. It consisted of three levels, which have been altered over the centuries. The unique footprint still exists and gives an idea of the overall dimensions. The keep is actually an innovation at this castle, appearing in the 12th century after the Castle of Tomar, the principal defensive redoubt of the Templars in Portugal. Similarly, the watchtowers were innovations brought into western part of the Iberian peninsula by the Order, and applied in Almourol. The high walls were protected by the nine circular watchtowers. They have irregular shapes largely thanks to the uneven terrain where they were built. 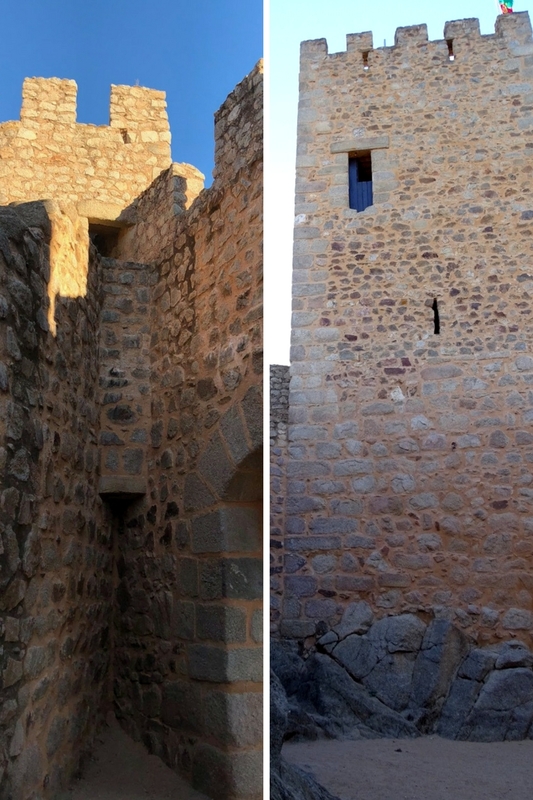 Inside, there are several stone gates that connect different parts of the castle. It is thought that the castle was constructed on the site of a primitive castro lusitamo that the Romans conquered during the 1st century BC. 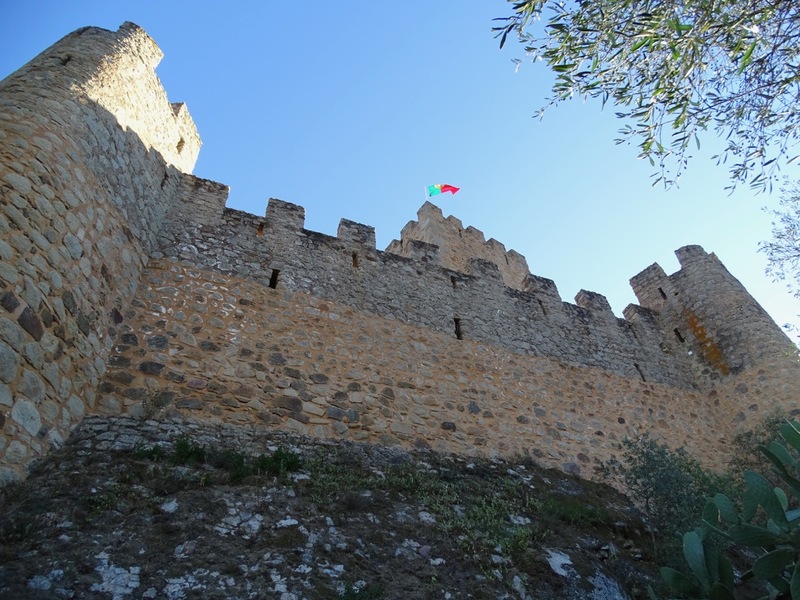 The exact construction date is unclear, but it is known that the Castle of Almourol existed before the beginning of the Kingdom of Portugal. Over time it was rebuilt by a succession of invading warriors, including the Alans, Visigoths, and Moors. 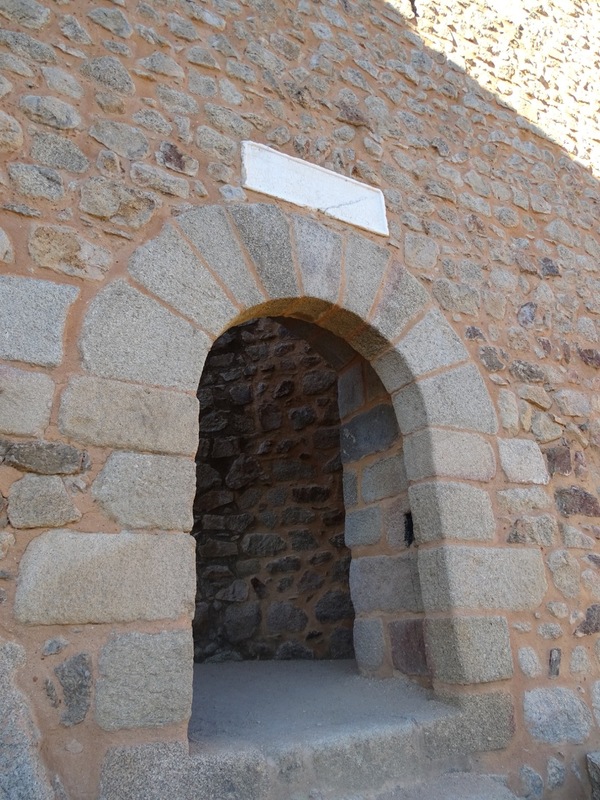 When the castle was conquered from the Moors in 1129 by the Portuguese forces, it was called Almorolan. Afonso Henriques, the first king of Portugal, presented it to Gualdim Pais, the master of the Templars. According to an inscription at the main gate, its reconstruction work began in 1171. The castle lost its strategic role after the Order of the Knights Templar was dissolved and the need to defend the territory no longer existed, It was abandoned and fell into ruins. In the 19th century, Almourol underwent some unfortunate restoration that severely altered its appearance. During the 20th century, the castle underwent multiple repairs and partially returned to its original form. 1. In the early 12th century, the lord of Almorolan was an Arab emir named Almorolon. The emir’s beautiful daughter fell in love with a Christian knight. She began to sneak him into the castle every night so they could spend time together. The knight was just using the poor girl, and one night opened the gate to his fellow knights, who captured the castle. Almorolon and his heart-broken daughter embraced and threw themselves from the parapets into the river below. 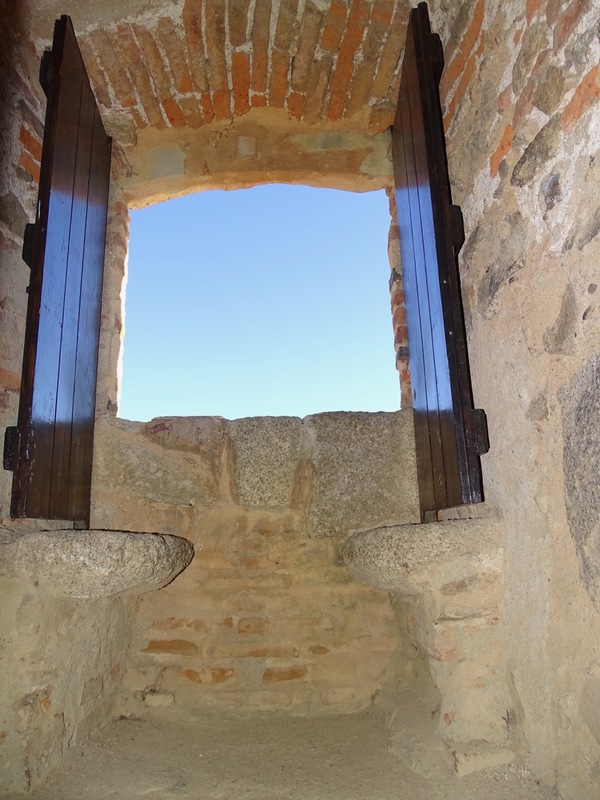 Was emir’s daughter waiting for her knight by this window? 2. 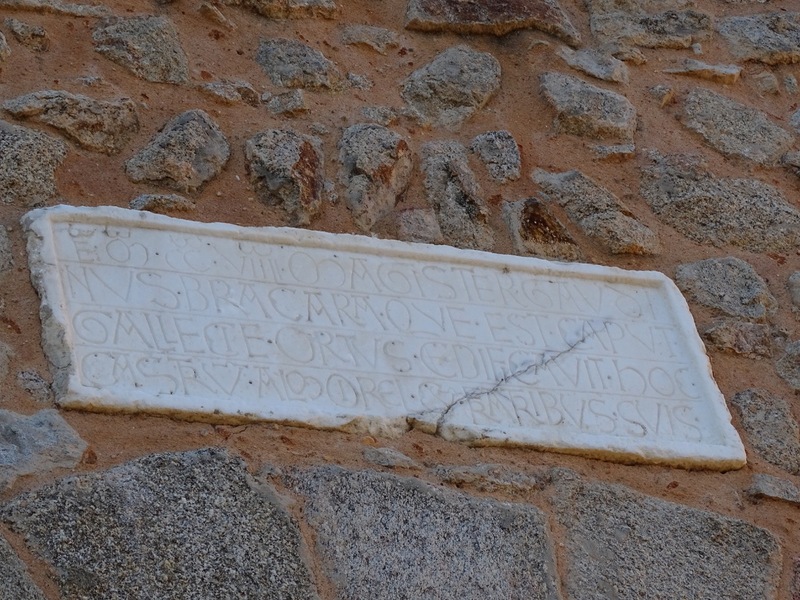 In the 9th or 10th century, Beatriz was the daughter of the cruel Visigoth warrior, Dom Ramiro. He killed a Moorish woman and her daughter over a cup of water and soon captured an 11-year-old Moorish boy. Unknown to Dom Ramiro, he was the son and brother of the murdered women. The boy became the page of Dom Ramiro at Almourol, where he lived with his wife and daughter Beatriz. The revengeful boy slowly poisoned the don’s wife until she died. While Dom Ramiro was off at war, the girl and her page fell in love, and his desire for revenge vanished. Soon, Dom Ramiro returned bringing with him a knight to whom he had promised Beatriz. The Moor told Beatriz of her father’s cruelty – and about his own murder of her mother. The young couple vanished without a trace. Dom Ramiro died of remorse. It is said that on some nights with a full moon you can see the Moor hugging Donna Beatriz, with Dom Ramiro kneeling at their feet, asking for their forgiveness. Check Castelo de Almourol website for the information about tickets and schedule. 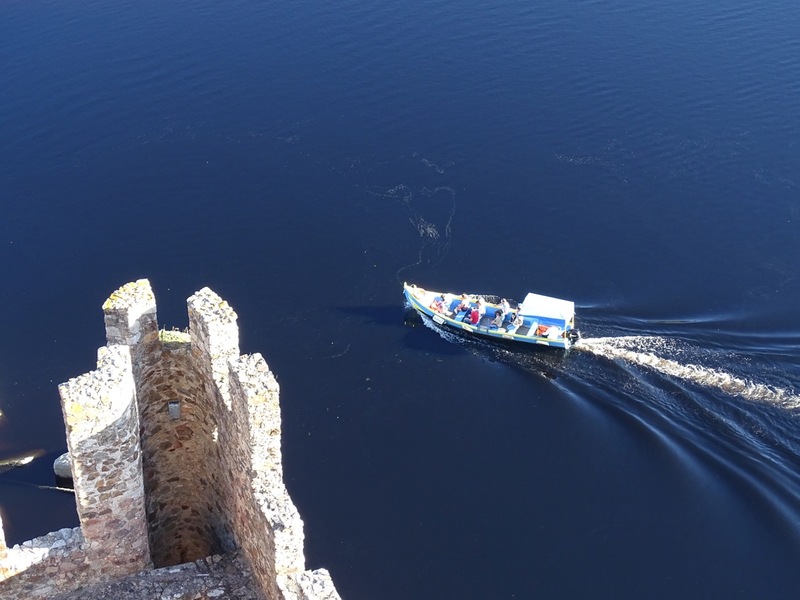 Situated on an island in the middle of the River Tagus, Almourol is one of the most emblematic castles of the Christian Reconquest period in Portugal. 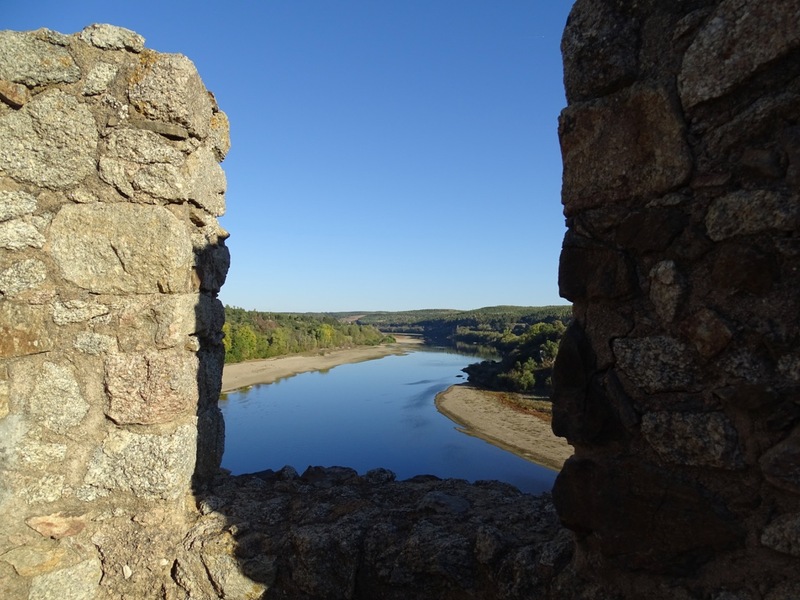 What a view of the river and surrounding area from those watchtowers! I can only imagine what the Almourol Castle was like at its prime. I love learning about European castles, though those two legends were quite sad. The Almourol castle indeed looks straight out of a movie or a fairy tale book.I was fascinated reading about the legends associated with the castle. The castle looks as if any moment a knight in shining armour will emerge or maybe a damsel in distress shouting for help. Almourol is one badass castle, dragonless or not. You can easily imagine dragons flying around there, above the heads of all those ghosts of legend. I have to admit that I’m quite amazed that you even knew what a movie location scout was at the tender age of six years old. 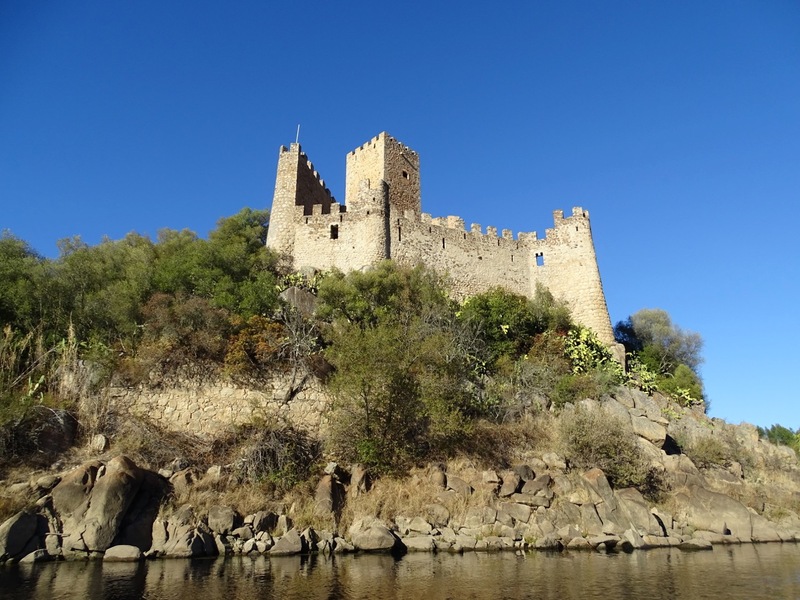 Nonetheles, the Castle of Almourol is amazing and indeed the perfect location for a wide variety of settings. Older than the Kingdom of Portugal…wow, what a fascinating history. Almourol castle really does look like a movie set! The location looks pretty stunning and you have done a remarkable job of capturing it in your photos. I love that you have included the legends about the castle – nothing like a tale or two of love, murder, and revenge to really make a historical location come to life! It’s like a scene from the Game of Thrones! Or is it?  And good to know abut that legend. Castles really amaze me. It’s really bewildering how anyone, even the most noble people, would build such a huge place when now we live in moderate sized homes to tiny houses, even apartment boxes. Thank you, Kirstie  It’s not only about building a huge place, but also about building it almost thousand years ago. In a relatively remote location it was a huge effort. I love castles and I’m definitely adding this one to my bucket list! That’s a crazy a story about Arab daughter and Christian knight with such a sad ending. Thanks for sharing! I’ve never heard of Almourol Castle. It looks like quite the find! 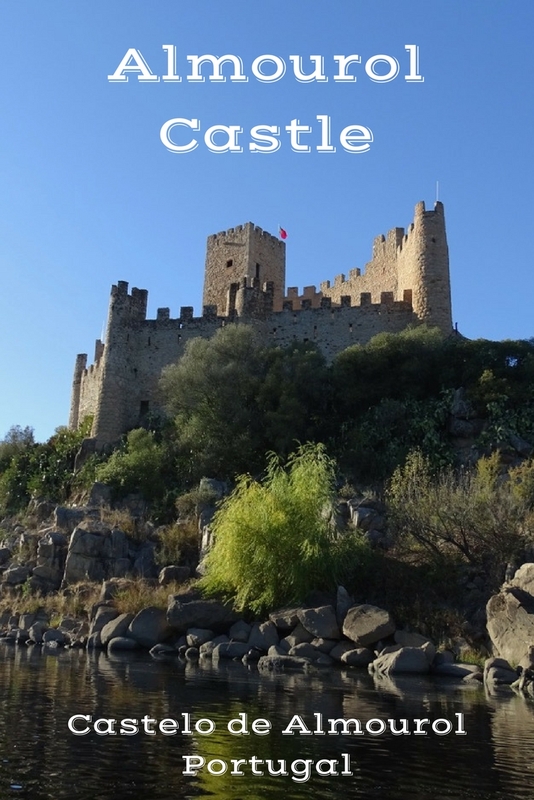 I loved reading about the castle’s history, especially since the Castle has been around (albeit rebuilt or fixed) since before the beginning of Portugal. The legends are great tales, too! They really blend the history of the various cultures that came in and conquered. They’re just real enough to make you think, they’re probably not that far-fetched. Thank you, Jackie. 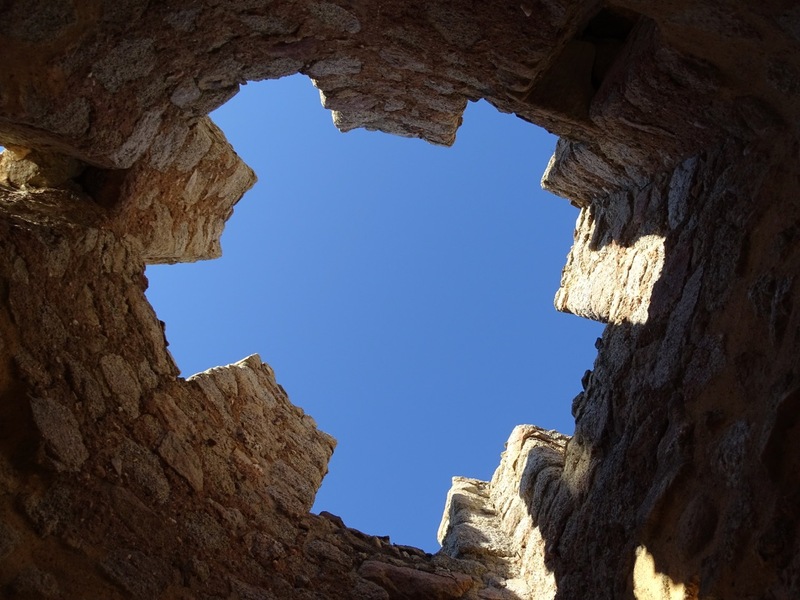 After climbing to the top of the keep or looking through narrow windows of watchtowers, it is easy to imagine that those stories really happened. There are a few drawings on display there that illustrate life at the castle during medieval times. Though not literally depicting the legends, they make them even more believable. Thank you, Paige. I think these legends perfectly correspond with the romantic melancholy of the castle. I didn’t make it to the Tomar area on my Portugal trip, but looking at this, I think I’ll have to go back! Hello, Cindy  I would definitely recommend visiting Almourol and Tomar area for the remaining 3 castles (though Almourol is my favorite) if you get a chance. They are less crowded but, nevertheless, is as impressive as some better known Portuguese destinations. Super cool looking castle. I have not been to this one and would love to visit. Maybe in 2018. Great to hear from you, Charles :). Almourol is truly enchanting. There are impressive castles in Portugal, but this one stands out because of unbeatable combination of architecture and surrounding nature.